Elizabeth’s brother came to visit us for a couple of weeks! It was so good to see him again. The kids enjoyed playing ball in the park and reading with Uncle Daniel. It’s moments like these they’ll treasure forever! On his previous visits, Bro. 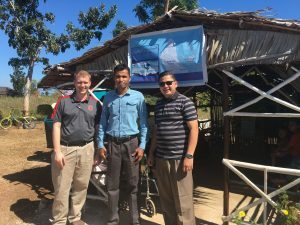 Daniel spent a lot of time with Pastor Walter and his family so it was our privilege to visit them again on Bantayan Island! So much has happened since the last time Daniel was with us. The Langbids have started a ministry on Bantayan Island and it is blooming! Several local families came together and built a building for them to meet in. The area seems so remote but the government is making plans to relocate several families right behind the church property. God is bringing people to His church! 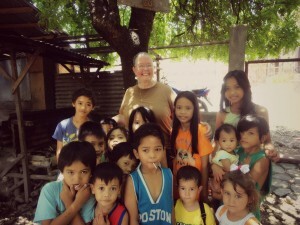 We plan to return to Bantayan this summer and help the Langbids with several outreach ministries! We are so thankful for our time with Daniel and the Langbid family. They both were such a tremendous encouragement to our hearts! 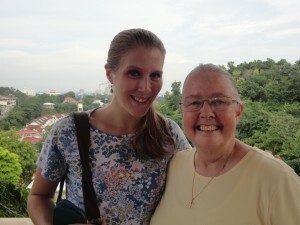 We had a great time seeing a friend from one of our supporting churches! 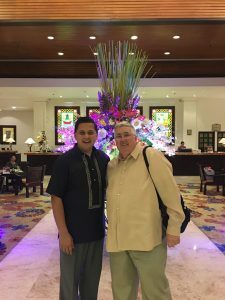 Brother Bill came to Cebu last week and joined our Sunday services. He was a blessing, participating in all the different ministries that go on during Sunday. He even played with the teens! Imagine their surprise! And he taught them a song! Though our time together was short, we enjoyed the fun and fellowship. We appreciate visits from our friends in the US and look forward to the next time! Our time with our guests went fast! We spent 12 days, showing them the ministry and the beautiful island we now call home. During their travels they went with us into the public schools! The children inside listened attentively and kids outside were pressed against the windows, trying to see what was going on! They also took part in street preaching. Because English is a second language for many, they were able to witness and tell people about Christ! On the weekend, they jumped into our children’s ministries and helped with Backyard Bible School. 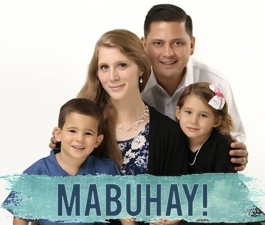 This is one of our favorite ministries where we bring Sunday School to the children; singing songs, memorizing verses, and teaching Bible stories. Though our time was short, it was such a blessing to have them here! They truly refreshed and encouraged our souls! We miss them already! We have visitors! Elizabeth’s brother, Daniel, is back with two friends from Grace Baptist Church. Their visit will be brief (around 12 days) but full of ministry work! 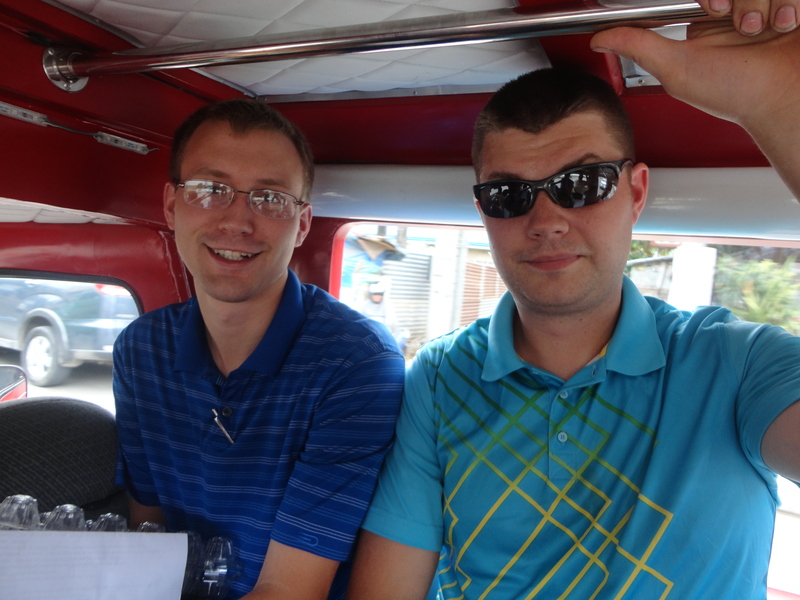 We are so thankful for this opportunity to show them firsthand, the ministry God has called us to. Aside from that, we are also looking forward to spending time together and savoring these special moments. We thank the Lord for His blessings.